STARLOGGED - GEEK MEDIA AGAIN: 1978: MARVEL COMICS INDEX issue 7B. 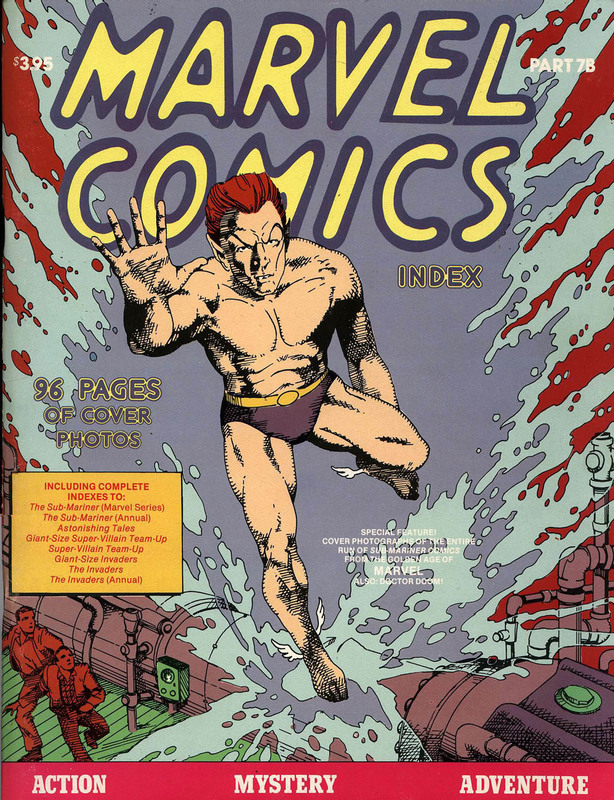 Here's the cover for issue 7B (yup) of the seventies MARVEL COMICS INDEX, covering the Sub-Mariner, Astonishing Tales, Super Villain Team-Up and The Invaders. It was published in July 1978. The retro cover art is by Bill Everett and Dean Motter.